Are you using Instagram for your business? If not, then this episode might inspire you to get also get started with it. Instagram is a social media platform that is growing in popularity. People love sending pictures and they love to connect. Maybe your business can also benefit from it. If not, then so be it. 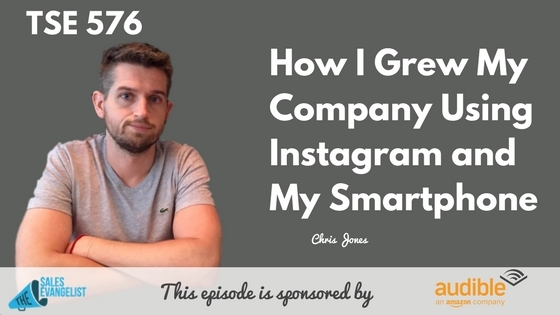 either way, learn from our guest today, Chris Jones, on how he actually built a company, an activewear business, with nothing but a phone and his Instagram account. Chris is going to share with us some Instagram strategies and tools to help you generate more leads. 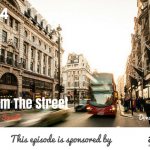 With a background in direct sales, Chris is currently focusing on two projects, an activewear brand, Bec Sport, and a blog, www.unoboy.com about his exploits in eCommerce and trying to sell physical products online. Working as an employee for a real estate technology brand, he was doing phone sales off full commission. Being glued to a computer 8 hours a day, he decided he needed a change. The podcast is where it all started. He came across a guy selling physical products on Amazon and it spoke to him on a deep level. Being a gym enthusiast, he looked around to see what problems he can help solve with a physical product and figured he’d create the best pair of pants he can wear in the gym. He got in touch with overseas suppliers and three months later, he got his first sample. He let his friends try it out and everybody loved it. Now that he had a product, he had to figure out a way to sell it. He originally wanted to put it on Amazon but he had to prove his online reputation having this threshold for Amazon approval. He then set up the Instagram account to like a real clothing brand and posted some photos. Nobody like it! Go out and engage with other Instagram followers and generate a lot of follows, likes, comments, and all kinds of engagement. Go to a specific hashtag, whatever your niche is and like every single photo in the hashtag and then post some comments. And they will also comment and follow back. Chris did this for two hours a day but knew he had to automate things. 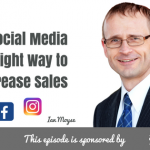 Use an Instagram tool such as Instagress – This tool allows you to automate and replicate this human behavior that instead of doing it two hours a day, you can do it 24 hours a day. Automated Engagement: Is it spamming people? Chris believes you should only be replicating real human behavior with Instagress. Leverage your time so instead of being able to spend 2 hours a day, you’re now able to completely free yourself of the task while being able to do this 24 hours a day. Sending automated emails were not accepted in the old days but nowadays, email automation is necessary for most businesses. Automation is a way to go up behind people you’d like to meet or you’d like them to meet you. This is your opportunity to walk up behind somebody, tap them on the shoulder, and start a conversation. What you do after is also very important. Stop always chasing money, and scratch your own itch first. Solve a problem you have personally then you will be uniquely suited to sell that to other people because you know the customer you created the product for in the first place. Use of persuasion triggers and start putting them into everything you’re using to communicate with people. Make sure they’re built into your captions and in your website’s product description. An example of persuasion trigger is scarcity. Scarcity is built-in to small businesses. Scarcity will make people buy stuff they don’t even need afraid they’re going to miss out. So turn your scarcity from a weakness to strength. Be creative in finding ways that your product is scarce. Scarcity is what makes them buy now versus six months from now. It accelerates the buying cycle. Get some thought on the idea of scarcity because scarcity can sell your product 10x faster than having a great product or even having a great price. Whether it’s a promo code that expires later today or you’re going to run out of inventory, give some thought on how you can use scarcity to sell whatever you’re selling. Check out www.becsport.com and follow them on Instagram @becsport. Also, find some cool stuff from his blog at www.unoboy.com. Connect with Chris through email at chrisjones@gmail.com.